Former Australia bowler Jason Gillespie has been made the new coach of Big Bash League side Adelaide Strikers but will also remain in charge at Yorkshire. 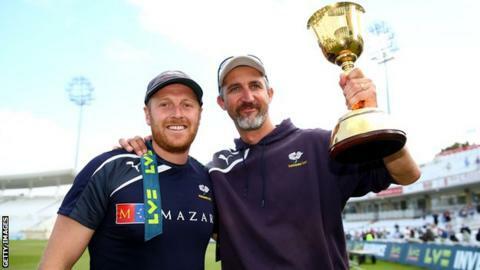 The 39-year-old became Yorkshire coach in November 2011, and led them to the County Championship title last year. He has agreed a two-year deal with the South Australian franchise starting in December, in the English off-season. "I am looking forward to bringing back some experiences to Yorkshire, which will improve our T20 cricket," he said.